You need swap your device from SiRF mode back to NMEA using the tool below. 2. Run the Sirf Demo software. 3. Connect your device, choose the correct COM port, and select the 4800 baud rate. 4. Go to Action > Open Data Source. 5. Next, go to Action > Synchronize Protocol & baud rate. 6. Then, go to Action > Switch to NMEA Protocol. 7. In the pop-up window, select the 4800 baud rate under the Baud Rate and click Send. 8. Close the Sirf Demo software. Note: Be sure and not to click on anything else in this software, as you can render your device unusable. 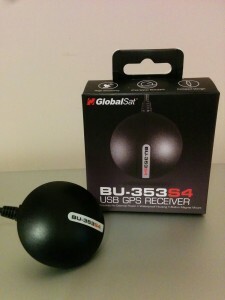 Now, try your GPS Receiver with the GPSInfo Utility (http://www.usglobalsat.com/store/downloads/GPSInfo.zip) to see if the problem persists.